Separation and divorce almost always create the need for significant financial adjustments by both parties. Our Durham, North Carolina, legal team, led by attorney Jill E. Burton, is well-versed in major issues that can determine your financial well-being for the immediate future or the rest of your life. From our initial consultation forward, we can actively help you pursue and protect your financial interests. For example, if you have been the more financially dependent party in your marriage, we can file a motion for post-separation support (PSS) to help sustain you until alimony and other issues in your case are resolved. If your spouse is pursuing unwarranted PSS or alimony, we will pursue all available angles to prevent an unfair order. How Are PSS and Alimony Issues Decided? Post-separation support is always a temporary measure, and it can be granted at the first post-complaint hearing and remain in place until alimony is set — either by mutual consent or by the court at trial. In contrast to child support, alimony is not determined by worksheets or firm, clear legal guidelines. Either seeking or contesting alimony successfully often requires an attorney with significant skill and experience. 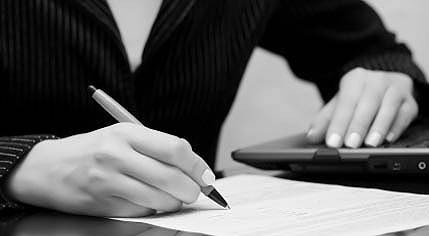 We are diligent and resourceful in pursuing fair and reasonable PSS and alimony orders for our clients — including professionals, executives, business owners and those leaving high-income marriages. Our proven skills in evaluating complex assets, locating hidden assets and interpreting financial data can be a tremendous asset in building a strong case for you. Please contact us today to discuss your needs.